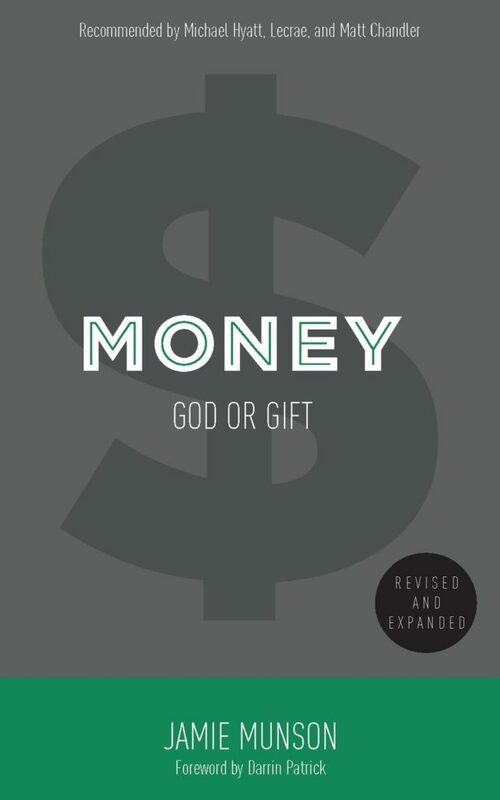 Money: God or Gift is the personal finance book recommended by Michael Hyatt, Lecrae, Matt Chandler, and more. Money. Cash. Coin. Bling. Scrilla. Cheddar. Dough. Whatever you call it, the god of gold promises security, peace of mind, comfort, status, freedom, and all of our wildest dreams come true. From the Bible to the Beatles, however, our culture is filled with reminders that money can’t buy what actually matters in life. You’ll learn all of this and more as Jamie Munson discusses faith, stewardship, personal finance, and other money matters. Love it or hate it, we can’t afford to ignore it. Master your money or it will master you. Put money in its proper place, and be free. Note- The chapter talks about how money is not evil and it is not the root of all evil. The love of money is the root of evil. Note- You cannot serve both God and money, especially when you love money, if you love money there is no room in you to also love God because you will not be able to balance both your relationship with him and with money. Note- We need to be good stewards of our money, because it was God who gave it to us and ultimately it is all his. So we need to care for it as if it were not our own. Note- Money still matters, we need it to function in our lives, we just cannot go around thinking it’s all ours when it is Gods. Note- It is important to have a budget and a plan on what to do with the money that comes in for each paycheck. Living paycheck to paycheck is not good, neither is just spending money on whatever you want just because you have money. Note- It is also not okay to rely on your parents to just give you money whenever you run out. And above all else it never okay to just run things up on your credit card and just get new ones when those hit there limits. Note- It’s okay to go out and make money, the author even encouraged his own daughters to go out and raise money for something that they wanted. Note- Working toward something or for something is good and healthy, we just need to make sure that it doesn’t take over our lives. Note- It is okay to spend money on the things you need, but we need to watch out for the things telling us to spend, spend, spend! Note- We need to make sure that we are not getting into debt with our credit cards, “the borrower is the slave of the lender” we owe everything we spend. There is no such thing as free money. Note- Our objective in saving should not be to increase our wealth, but to honor God and bless others with what we have been given. Note- We are not required to save but God asks that we trust him with everything that we have so that he will provide for our needs. Note- At the end of this life, everything we have invested will be left behind. We should use what we do have and store it up in heaven to honor God with the time we are given. Note- When we give with our hearts, it does not matter the amount we have to give or what another person has given. The generosity behind it is what matters. God sees where your heart is when you give. Note- This chapter shares about the many reasons we should give: We are made in the image of God, giving is an act of praise, giving demonstrates the value of Jesus, give to be blessed and five to serve and care for others and Jesus. Note- There are three characteristics of a generous attitude: Cheerful giving, sacrificial giving, and regular giving. Note- We can dream big and plan big, but we still need to let God be God. When we plan to increase our resources we should be willing to accept that our plans may change as God is shaping us in our lives. Note- This chapter has good practical tips on how to better manage our money by showing separate categories in advice for parents with children, advice for people who are single, advice for married couples, and advice for middle age and older. Note- Don’t worry about money as much as possible. You can makes stewardship plans to serve you most common concerns for instance keeping a savings account with enough money incase of unemployment. Note- God will meet your needs and will provide whatever you need according to his will. Take it one day at a time.